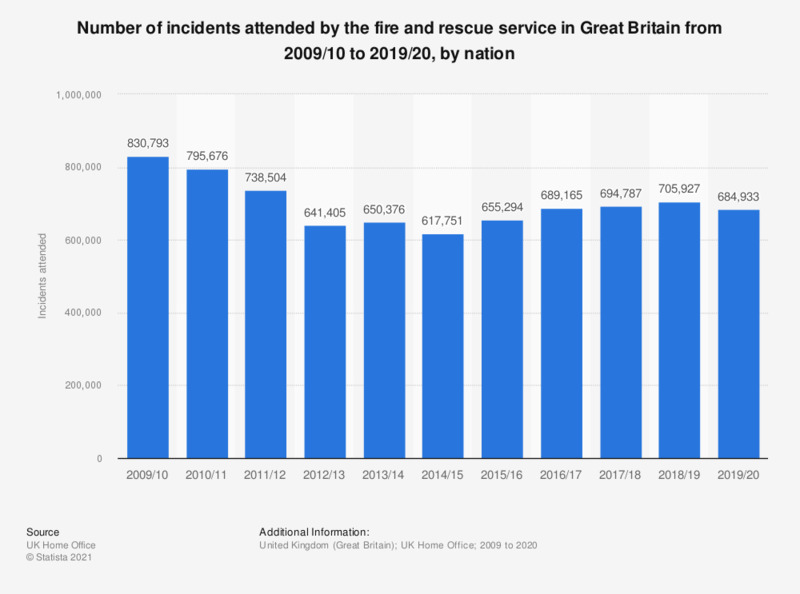 This statistic shows the number of incidents attended by the fire and rescue services in the United Kingdom from 2010 to 2018. Incidents have decreased since the peak of over 800 thousand in 2010/11, although there has been a recent uptick from 2015/16 onwards. England's large demographic size in relation to the rest of the United Kingdom means that it is consistently the country with the most incidents attended.